Sorry! All you get is a picture off someone else’s site and half a full-page advertisement for this computer. The other half of the page is just a list of dealers. These are the closest that I’ve ever been to seeing one of these machines. 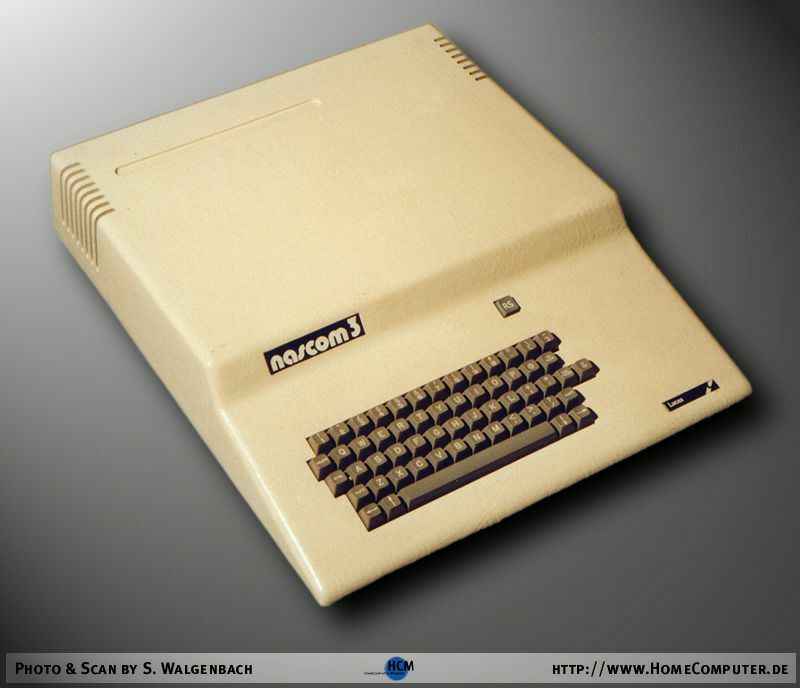 For the specification see the NASCOM-2 computer. I think the case was designed to accept the NASCOM-2 board and two expansion cards on a short bus extension. (No doubt someone will correct me on this!). I’ve no idea what the power supply was. Lucas offered colour graphics as an optional upgrade. This was via the AVC card (which is the same size as the Nascom-2). They also offered the floppy disk controller as another option, so there probably wasn’t much more room left in the case. The case is interesting. It appears that it was originally just a design and manufacturing exercise by another company in the Lucas group. However, once this had been done, no-one would sanction the design of a better one so it was put into production anyway! The Nascom-3s were produced in modest numbers.